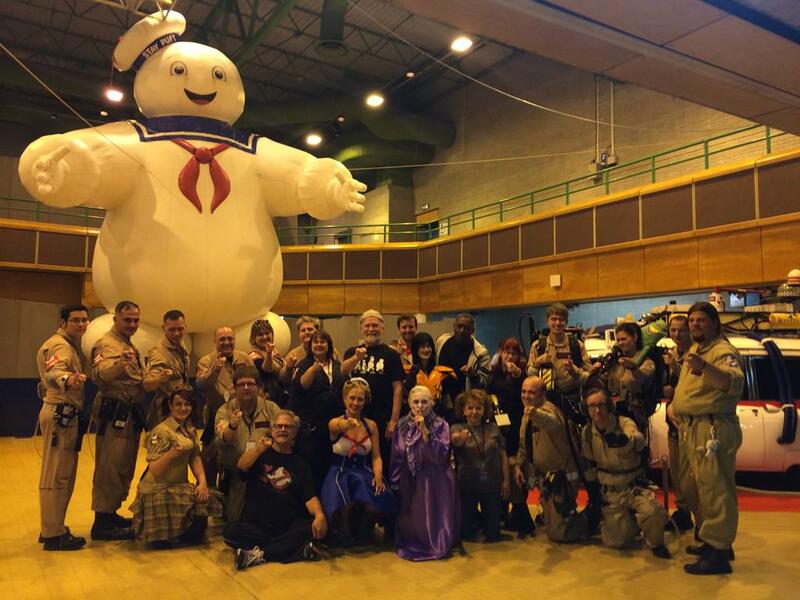 Check out our Forum for help, tips and advice in becoming a member of The U.K. Ghostbusters! The first thing you will want to do is say hello in our "Introductions" section. Then you can check out how to start putting your uniform together! If you are looking to join our group you needn't worry about your budget or prop-making skills - anyone and everyone is welcome to join The U.K. Ghostbusters! However, some of the events we attend require a high level of accuracy for uniforms and props. With this in mind we have two different levels of member status - STANDARD and CLEARED. STANDARD MEMBERS are welcome to join the majority of the events we attend such conventions and public events. CLEARED MEMBERS are also welcome to join events we have been invited to which require a high standard of build. It is also only Cleared Members who are authorised to supervise any tables we may have at an event (due to the involvement of charity items and money). If you are interested in becoming a Cleared Member of the UKGB, or you just want help in making your costume as accurate as possible, check out our Clearance Guide by clicking the button below. This is an extremely detailed assistant that breaks down the uniform and different props to help you source your parts, whilst also providing essential build tips!